Preparing children for going back to school after summer break is a challenge. Children with autism take time to adjust to any changes in their daily routine and can easily become distressed by it. Parents are often apprehensive about new teachers, changes in the classroom environment, and related factors. Last minute preparations can add to the stress. Don’t leave things like school shopping, summer homework, and other such tasks for the last minute. Complete school shopping gradually over the last few weeks of summer, especially with doing this with your children. Prepare a calendar with all the important dates and times so you can keep track of what you need to do. This time can be hectic, especially for working parents so it’s a good idea to keep track of all important events. It will help you avoid last minute panic and ensure you’re ready for school as well. It’s a good idea to get in touch with your child’s new teacher before the school year is set to begin. Most teachers want their students to succeed and are perfectly willing to communicate with parents for a child’s welfare. Instead of letting the teacher figure out how to handle the autistic child, you can explain the child’s habits, triggers, past educational successes, etc., in person. This will help the teacher start off on the right foot. If your child’s previous year was successful, contact their old teacher and ask them for advice. It might be possible to arrange for a meeting between them and the new teacher well before the new term is set to begin. This will give the new teacher all the tools and information needed to help your child succeed. Children with autism don’t handle unpredictability well, which is one of the reasons why it’s important to inform them about changes to their schedule well in advance. Let them know when the school is about to start; when you will shop for school items, handle parent/teacher/student meetings, etc. Parents can discuss school schedule and expectations for the first few weeks with their child a couple of weeks before the transition. This will ensure that your child is prepared for the changes and is less likely to be stressed. Don’t inform your child about the changes at the last minute because it will cause considerable anxiety. The school environment can be a shock for autistic children as they are very sensitive to change. The crowd, lights, colors, noise, and similar distressing factors can trigger an episode. A great way to ease a child into the school environment is to take them to their classroom early. Most schools will let you meet teachers and see the classrooms a few days before the school session is set to begin. Your child can become familiar with the environment, communicate with the new teacher, and walk the path to different classes. Once they become familiar with the school environment, kids have an easier time handling crowds and noise. Children with autism don’t like big disruptions to their routine so they don’t adapt to changes easily. Introducing them to big changes in steps or stages is a great way to minimize the impact. Start with changes to their sleeping schedule a few weeks before school is set to start. Stick with the schedule you have to follow during school days; don’t let them sleep in late or wake up late. It’s a good idea to get started on studies and establish a homework routine a week or two before school. It will be easier to handle resistance or arguments without the pressure of school. The idea is to reduce stress and stimulation when school starts. Children with autism find stepping into a noisy, crowded space with other students jarring. By introducing them to a routine in steps, you ensure they are less likely to become overwhelmed or distressed. Children with autism exist in a comfortable bubble during summer. With the lack of resources in past years in Las Vegas, it can be rare that children have exposure to social interactions. This means they can forget social cues and habits. 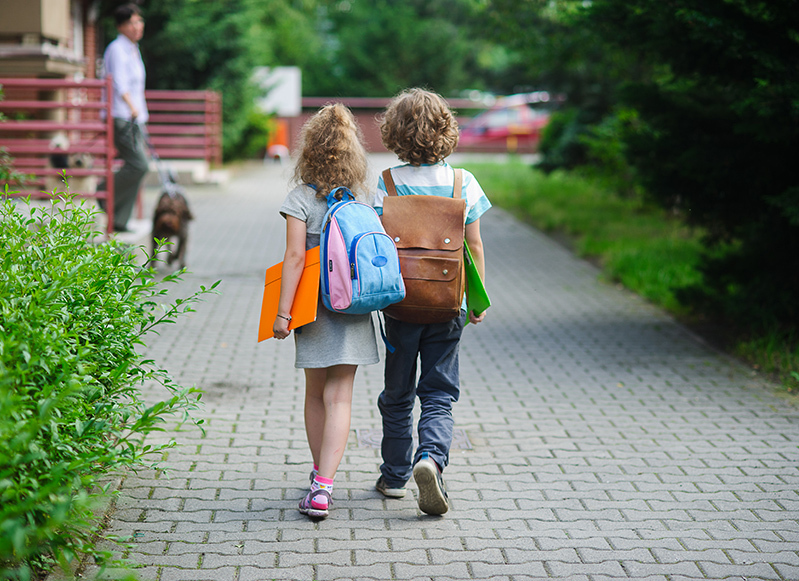 Parents must remind them of the dos and don’ts before heading to school. Create a list of behaviors that are acceptable and unacceptable to ensure there are fewer slip-ups. Exposing children to the social environment in increments before school is a great way to familiarize them with these dos and don’ts. The most important thing to remember when taking your children to social events is not to overwhelm them. RAD is actively creating projects that allow your children to slowly adjust and ease into social settings. This will ensure they’re better prepared for school. Despite all the precautions, there’s always a chance your child may experience an episode. It’s a good idea to have a worst case scenario at hand. Prepare your child for triggers and help them handle distress in a safe manner. Familiarize them with quiet spaces and rooms at school so they can isolate themselves from the noise for a short period of time. Give your child a break after they return home. Let them stay in their rooms for 30 to 60 minutes so they can let go of the stress and relax in a comfortable environment. While Las Vegas originally did not have as many resources available for children with autism, parents were often alone on this journey. We are actively creating projects and events for your children to participate in. It’s important to seek out an organization to help you raise a healthy autistic child. RAD provides assistance, educational materials, and a safe place for your children. We care about providing the best care and assistance to your child. Previous Post Moving From California to Nevada? Next Post Why Should You Support a Nonprofit Organization?